2004 Dodge Ram 1500 Quad Cab SLT RWD. 4 door V8. Automatic. Air. Fully loaded. CD stereo. Brand new tires. 20" factory wheels. Chrome package. 150,000 miles. 3" lift kit. Lots of chrome. 2 owner. Clean Car fax. Excellent service history. -0- accidents. Must see! 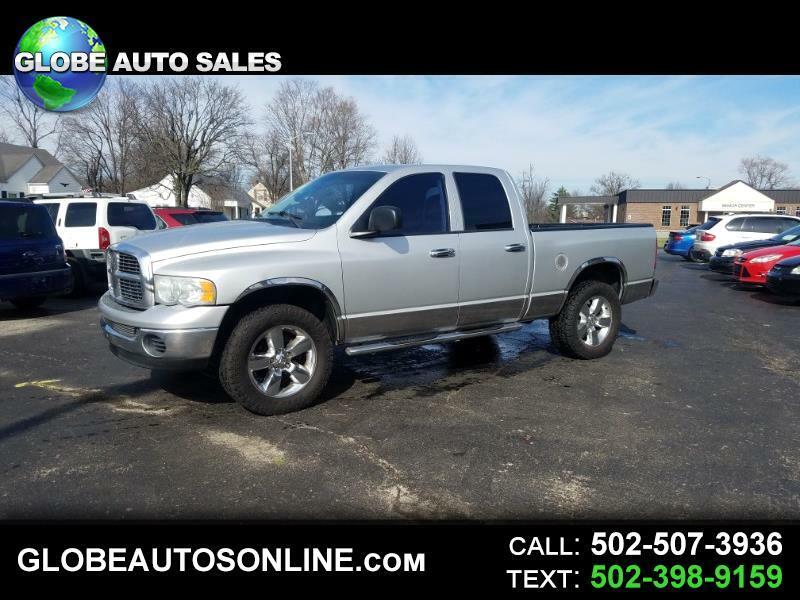 Visit Globe Auto Sales Bardstown online at www.globeautosonline.com to see more pictures of this vehicle or call us at 502-507-3936 today to schedule your test drive.